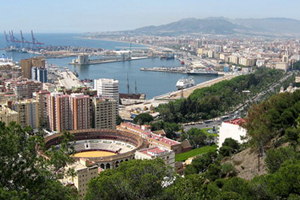 A new cruise terminal has opened at the south Spanish port of Malaga. The new 900m2 terminal will host Windstar Cruises' Wind Surf in July, with almost 70 ships using the port for cruise turnarounds during the summer season. Malaga is becoming increasingly popular as a cruise ports and the new terminal helps it become a more viable alternative to Barcelona. The new terminal forms part of Quay 2, which is a short five minute walk to the city centre. Malaga's tourist board representative, Antonio Montejo Romero, said: "The passenger terminal is an exciting addition to Malaga's extensive offering for tourists. We give a unique experience for cruise passengers in that they can step off the ship and be in the heart of the city in just five minutes." This summer will see a selection of Med cruises onboard Royal Caribbean's Adventure of the Seas departing from Malaga, as well as the offerings such as Azamara Quest's Spain and Morocco cruise.